In order tame and elephant, you must first tame yourself. After years of working with and treating high level Professional Athletes, I wanted to share one of my biggest secrets with you. How I evaluate and assess athletes for pain, future pain, injury prediction and their priority based needs. It comes down to one thing: The Elephant in the Room. This is the first question I ask myself after doing a full diagnostic on the clients psychology, muscular system, skeletal system and habits. Once you take them through this diagnostic based evaluation and assessment, all of your answers are right in front of you. It comes down to making the decision on what is priority #1 (aka the Elephant in the room). 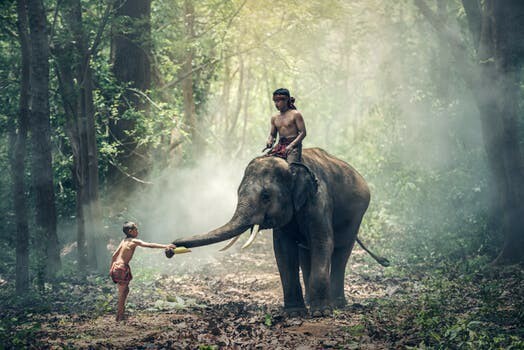 Focusing on this Elephant often times will provide immediate relief to their physical and/or mental pain and clean up a lot of the other “issues” that presented themselves. This will allow you to create a strong plan of action that will get you immediate results and begin the snowball of forward momentum. I write this because most people do not know where to start or begin their journey into their own psychology, health and fitness. If you start with your greatest “pain” you will begin to heal yourself and create positive change faster than if you were to create a 90-day exploratory search and rescue mission on yourself. 2. What is my biggest area of concern? 3. Create a day to day plan (or hire somebody to help). **Recalibrate the plan as needed. I have had tremendous success with this process when it comes to training and performance enhancement with Athletes and Executives. Because of that, I also realized this applies in other aspects of your life. That one-thing becomes your Elephant in the Room and your singular priority. This applied theory works. You will find that when you are focusing on the Elephant, that is the priority and everything else becomes secondary. The Elephant will usually wash out the other things (secondary priorities) or once it is “tamed” will allow you to truly focus on the other items with greater efficiency and effectiveness. The Elephant comes in many different shapes and sizes. It could be a conversation you have been avoiding, actually cutting out a food that is causing gastro-intestinal distress or something as simple as paying a bill or taking the car in for service. The key is to “tame” the Elephant and do it fast. I share this with you because it has been one of the most successful tools and tactics I have used in my personal practice of healing, training and enhancing human performance. Give this a try. Remember, “taming” the Elephant starts with “taming” yourself. Also- no matter how good of an Elephant tamer you are, only one Elephant can be tamed at a time.